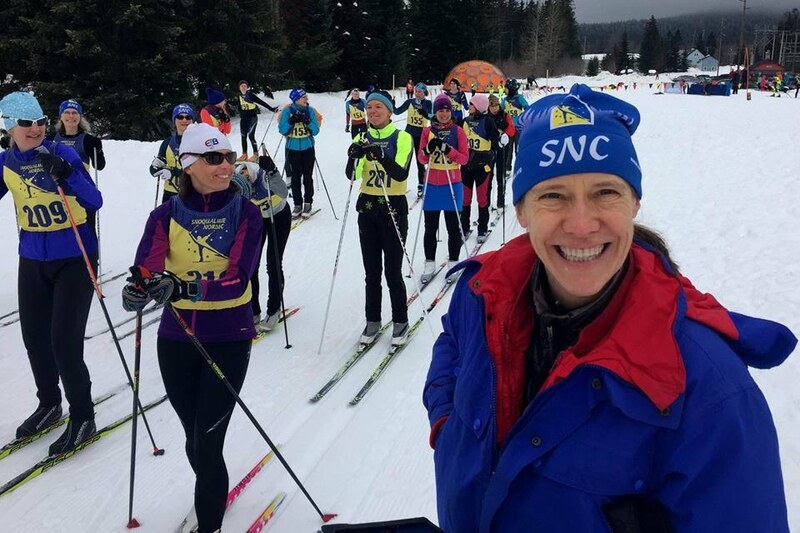 American women have started this cross country ski season with an extremely strong showing. So far, USA ladies have taken three medals – two in Gällivare, Sweden and one in Kuusamo Finland. The winning women hail from several ski-strong states including Liz Stephen of Vermont, Minnesotan Jessie Diggins, Holly Brooks from Washington State and Alaskan Kikkan Randal. 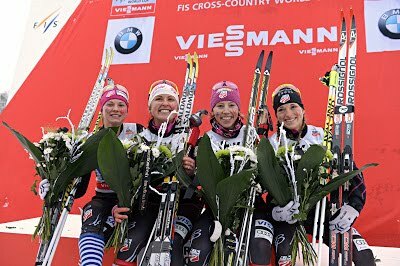 All four were on the podium to accept a bronze medal for the relay event, where each woman skied 5 km (about 3 miles), in the frozen northern Swedish town of Gällivare. The competition was extremely tough: Norway’s A team, anchored by none other than Marit Bjørgen, took gold and Sweden took silver. Rising star Jessie Diggins, just 21 years old, showed the crowd how it’s done in a finish line sprint against Norway team 2 Marthe Kristoffersen. A Norwegian television sport reporter commented “This means unbelievably much to the American team.” Asked about the relay by the International Ski Federation, US coach Matt Whitcomb said he was not surprised that his team was on the podium. “It has been at the top of our goals as a team for the last two years. We decided to hit the ground running, gunning for relays,” said Whitcomb. But each of the women has pushed the personal envelope too, as they must if they are to win as a team. World Cup veteran Kikkan (pronounced Kee’-kan) has seen this pay off as two individual podiums in this season so far. Although it is no surprise to see Kikkan on a podium - she has an impressive list of wins from the special world of ski sprinting – Ms. Randall has shown this season she can attack the longer distances, taking a World Cup bronze in the 10 km at Gällivare and then a silver 5 km in Kuusamo. The ladies of the US cross-country ski team all show spirit that can be an inspiration to everyone. 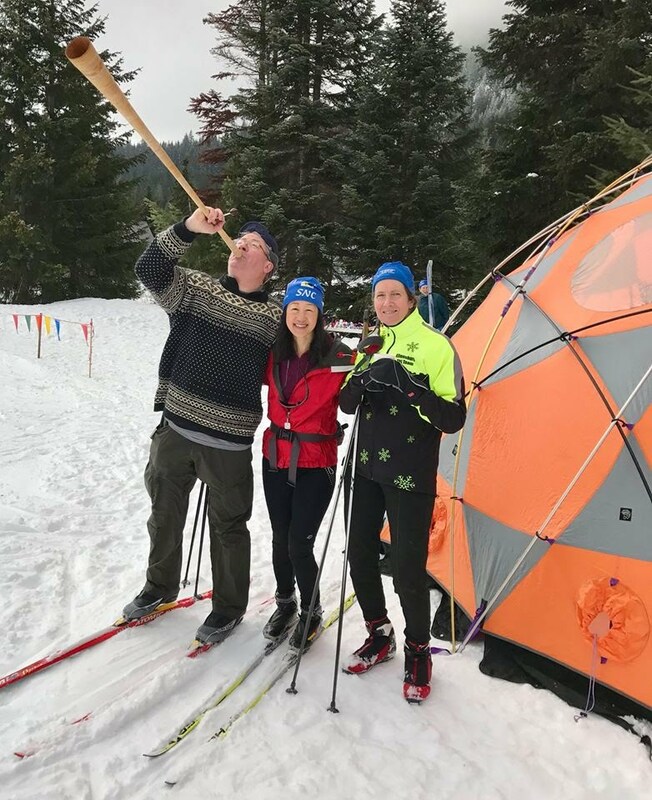 For those of us that would like to see a cross country ski race in person, there are many chances in the USA and Canada. The World Cup itself will be in Quebec on the 7th and 8th of December, and in Canmore from the 13th through 16th. There are many yearly events on our continent, including the American Birkibeiner, this year February 21-23, 2013, finishing in Hayward, WI, where Holly Brooks took women’s 1st place last year. 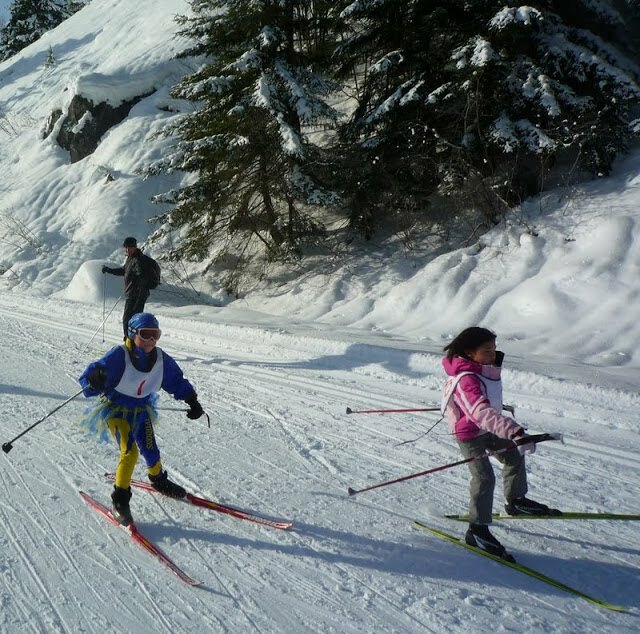 XC ski competitions in the US include competitors in all age brackets and most snowy parts of the country. Another notable is the USSA ski team Junior National Championships, this year March 11-16 in Fairbanks, AK (last year Jessie Diggins was on the Junior podium when the Nationals were held in Wirth Park, Minneapolis, MN). 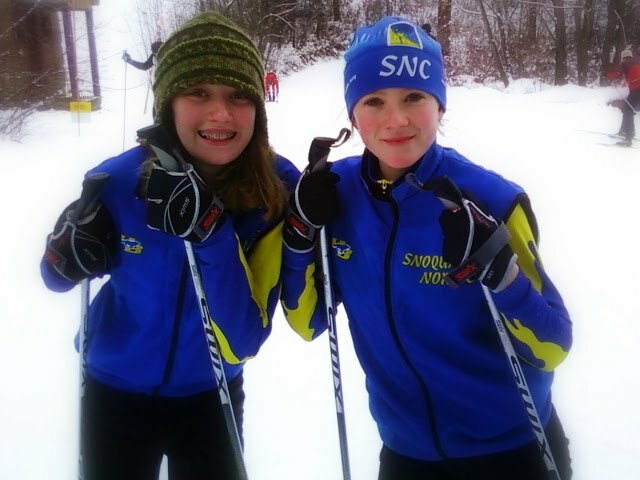 Nordic skiing is a tradition Norwegian Americans can be proud of!